March is right around the corner, and we here at co-Op Critics are planning our games coverage for the month. It will be a mix of old and new–Dragon Age: Inquisition will be a spotlight game for us next month–and there are some new games we’re really excited for. For me personally, there are a few games coming out in March that are among my most anticipated of the year, one of which was just announced yesterday. Ori and the Blind Forest is a 2D platformer in the vein Super Metroid. It looks stunning–but don’t take my word for it, check out the video. Easily my most anticipated game of the year. From the director of Demon’s Souls and Dark Souls, two of my all-time favorite games. 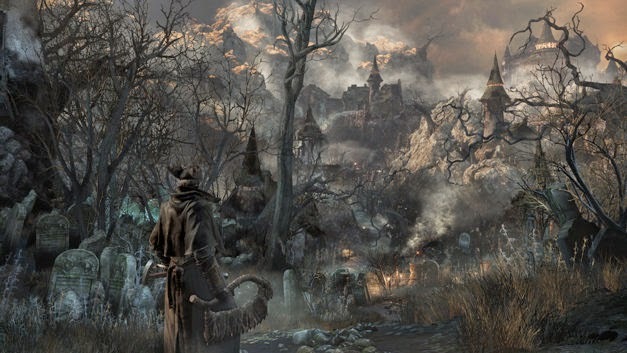 Expect to see a lot of Bloodborne on this blog and our YouTube channel in the coming weeks and months. After enjoying the first Borderlands, I never finished the sequel (on XBox 360 or Vita). I also didn’t play the pre-sequel, so Nick and I will definitely be co-opping a lot of Borderlands in the future. I think I dabbled with Neverwinter on PC a while back, but I may just be thinking of D&D Online. In any case, I am a huge D&D fan, and I am excited about any MMO coming to consoles. Between this and the upcoming Elder Scrolls, I’ve got a lot to forward to. And the opening cinematic for Neverwinter is insane. So, what games are you looking forward to next month? Are there games you want to see us cover here on Co-Op Critics? Let us know in the comments!